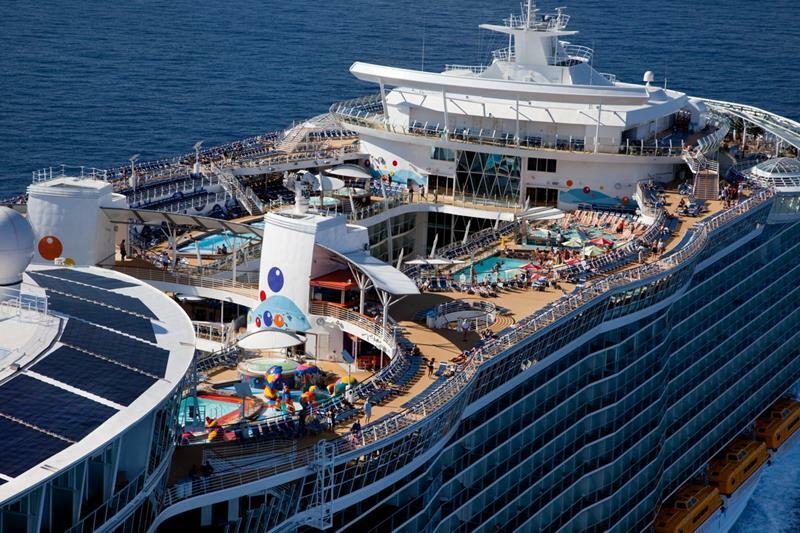 Capable of carrying a maximum of 6,296 passengers, Allure of the Seas is by far the largest cruise ship in the world. Well, that’s except for its sister ship the Oasis of the Seas, which is also capable of carrying a maximum of 6,296 passengers. If you think that’s a coincidence, it’s not. Both of the ships were designed to be exactly the same size, and they, in fact, both measure 225,282 tons. 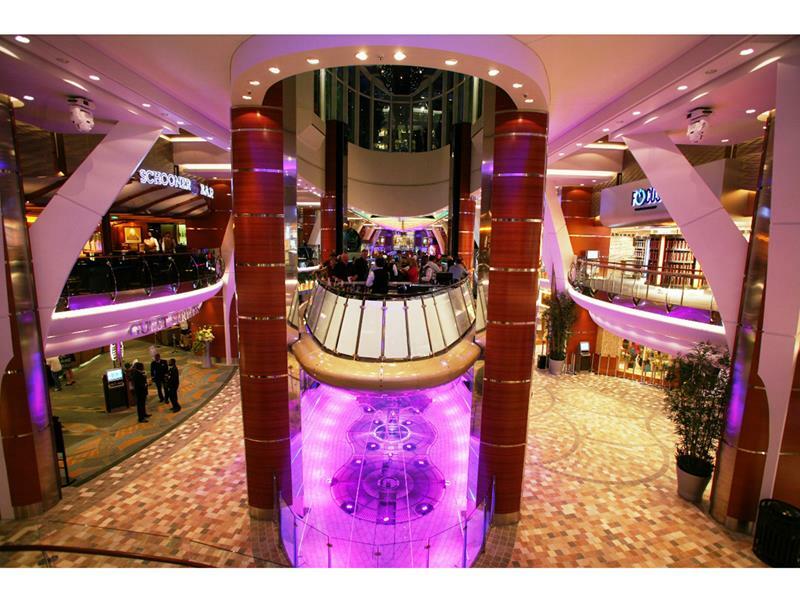 So, how can Allure of the Seas be the largest cruise ship in the world if Oasis of the Seas is exactly the same size? The answer is a technicality. 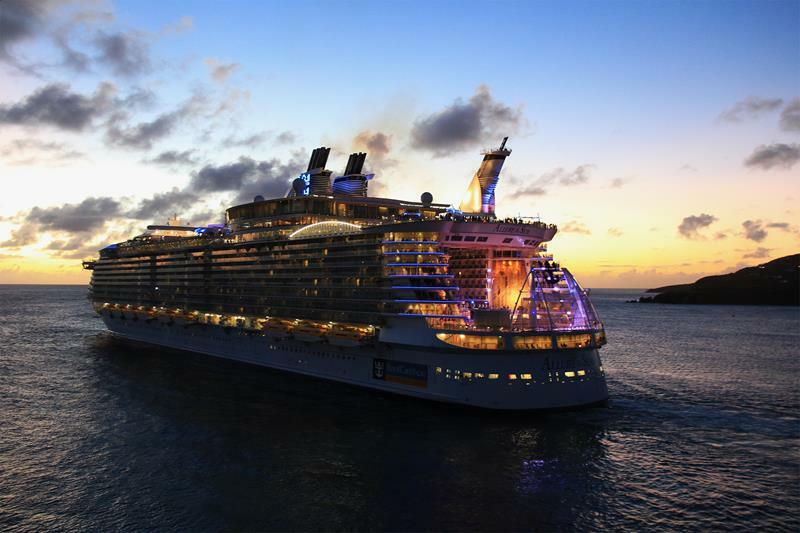 Although they were designed to be exactly the same size, when construction was finished on Allure of the Seas, it ended up being exactly 50 millimeters longer than its sister ship. 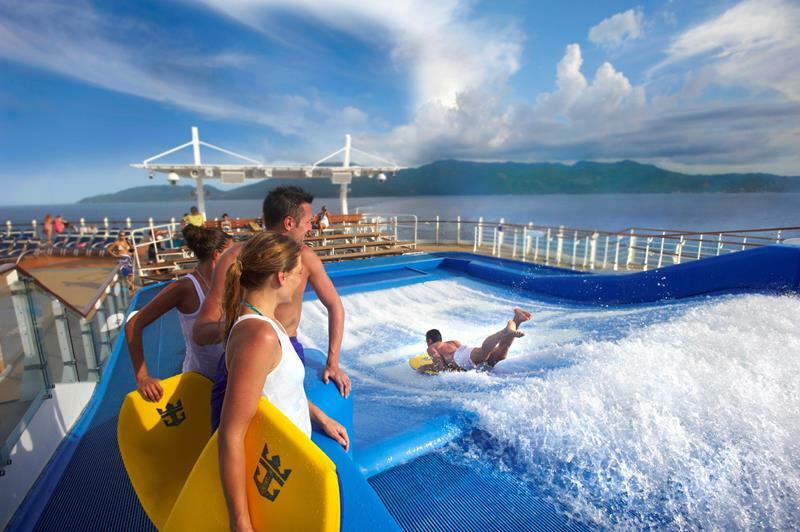 That means Oasis of the Seas only got to enjoy the designation of largest cruise ship in the world for about one year. 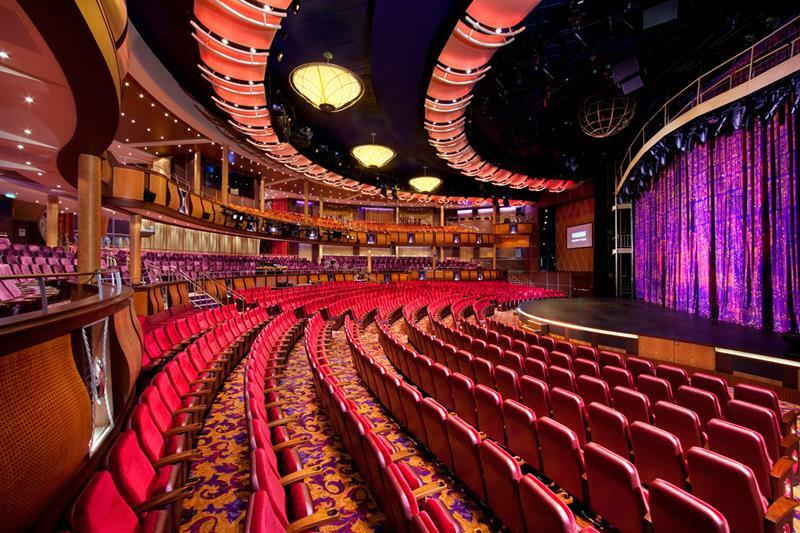 As you might imagine, there’s a lot to see and do on the largest cruise ship ever built, which is why we’ve collected these 45 stunning photos. 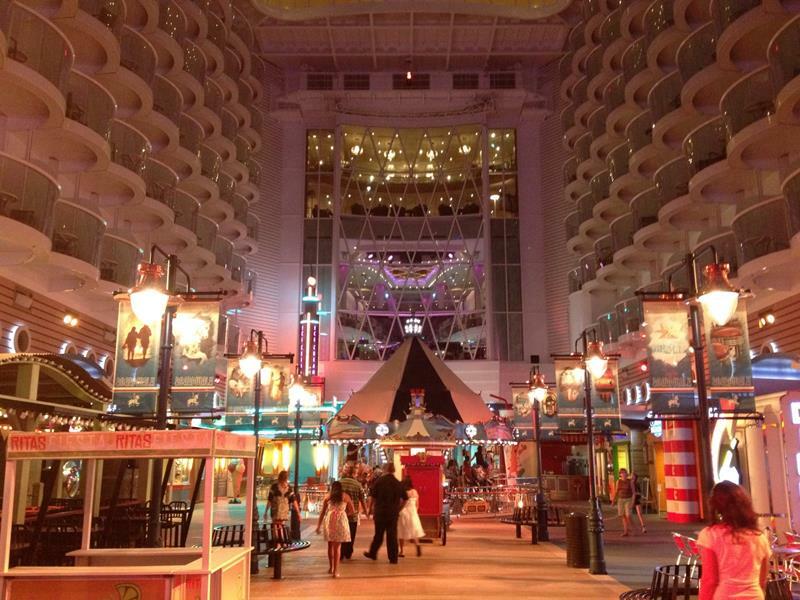 Of course, with Allure of the Seas offering so much, it’s impossible to cover everything. But, we’ve definitely hit the grand points, and we’re sure you’ll be impressed. 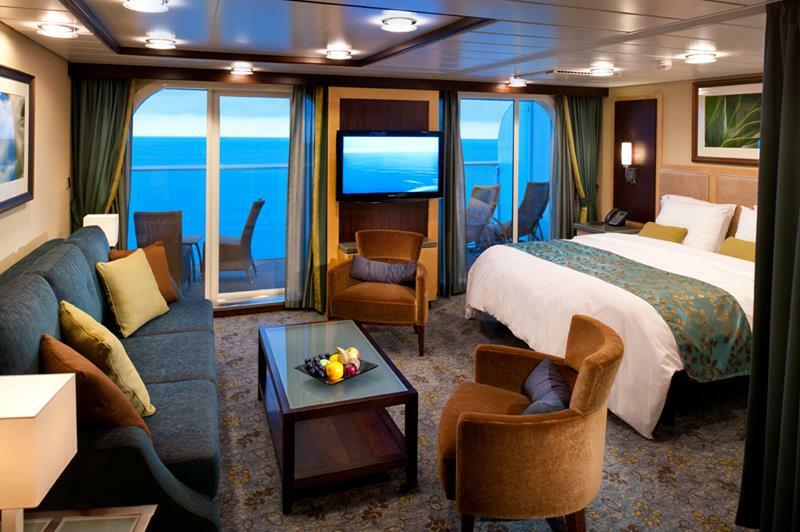 If nothing else, you won’t believe how luxurious the accommodations of Allure of the Sea’s Royal Loft Suites are. You’ll find those at #45. 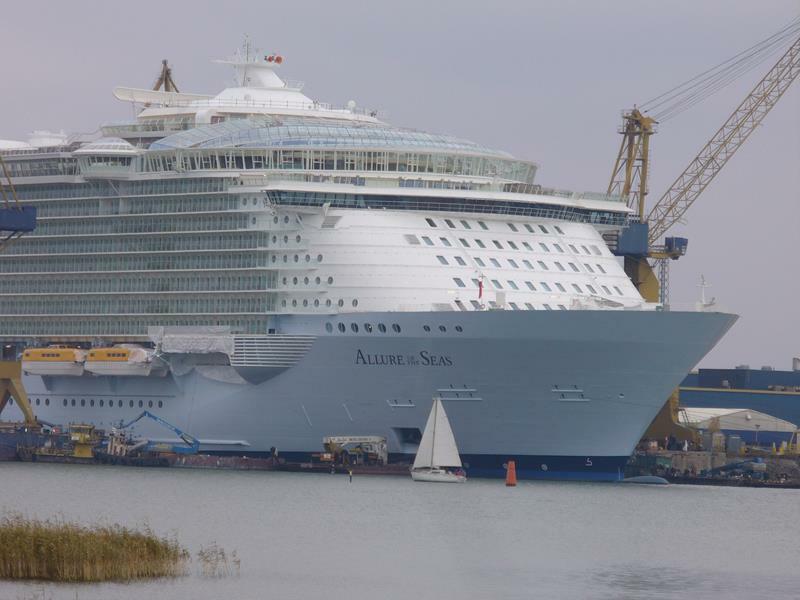 Royal Caribbean International ordered the Allure of the Seas from Aker Finnyards in February of 2006. Back then, it was known as “Project Genesis”. 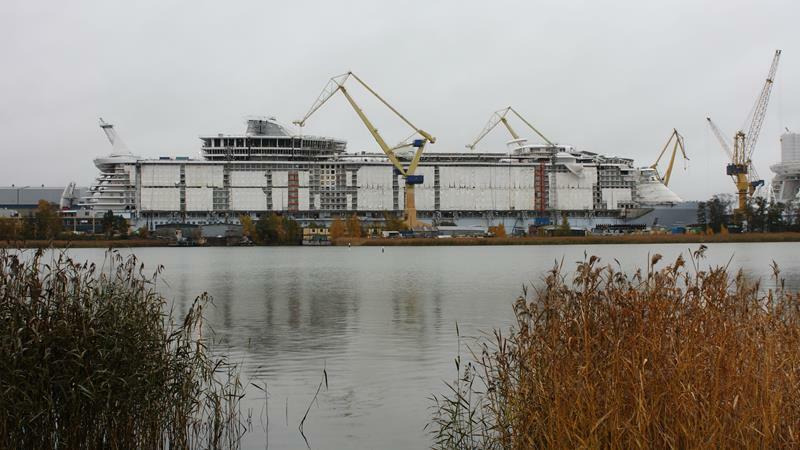 Despite Aker Finnyards being acquired by STX Europe, construction began in Feburary of 2008, and she didn’t make her maiden voyage until December of 2010. 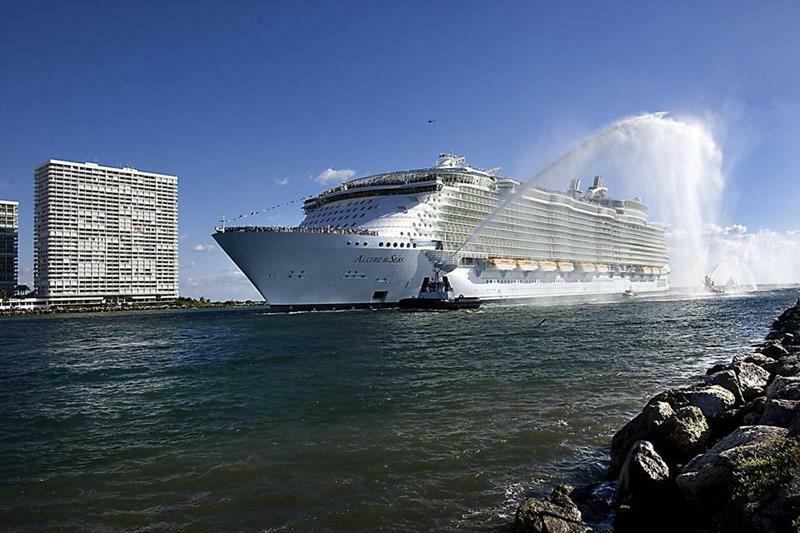 At the conclusion of her maiden voyage, Allure of the Seas arrived at her homeport of Port Everglades, Florida. Thousands watched form the shore as she arrived on a November morning. 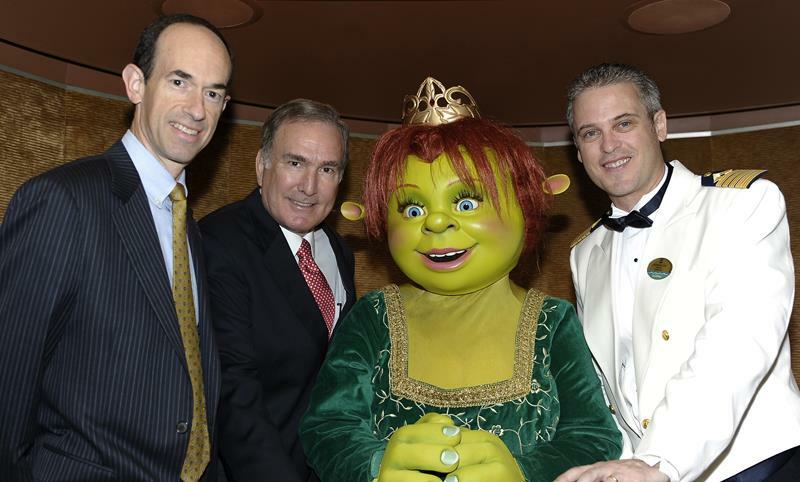 You probably wouldn’t have guessed it if you didn’t know already, but Princess Fiona of the Shrek movies is Allure of the Sea’s godmother. 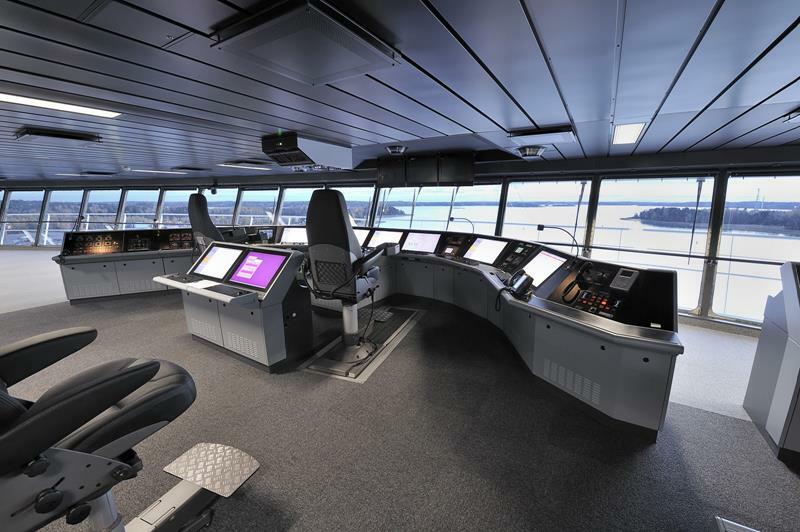 If you set foot on the bridge of Allure of the Seas, it’s possible you might think you were aboard the Starship Enterprise and not that largest cruise ship in the world. 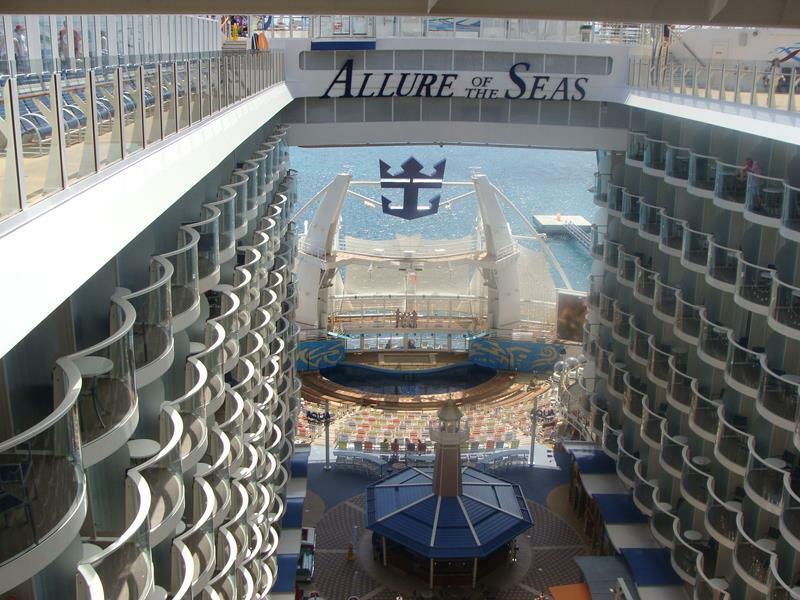 One of the primary architectural features of Allure of the Seas is its split superstructure, which can be seen in this picture. 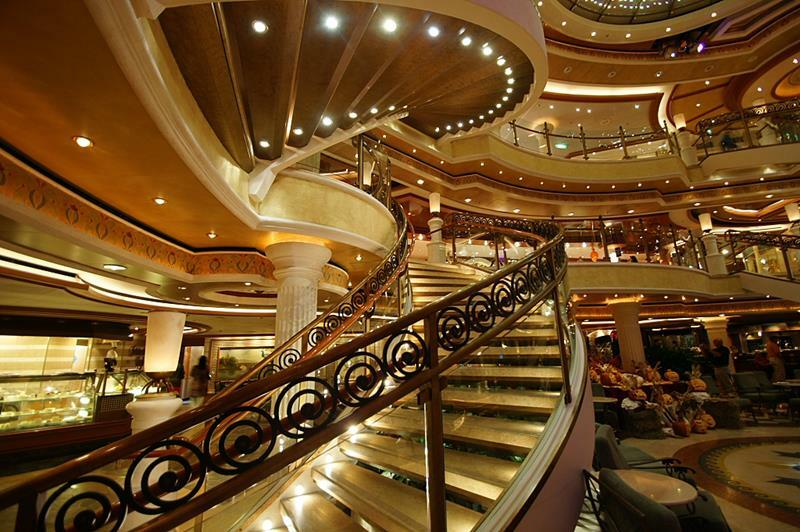 Many of the ship’s cabins have balconies that look into the center of Allure of the Seas’ split superstructure. 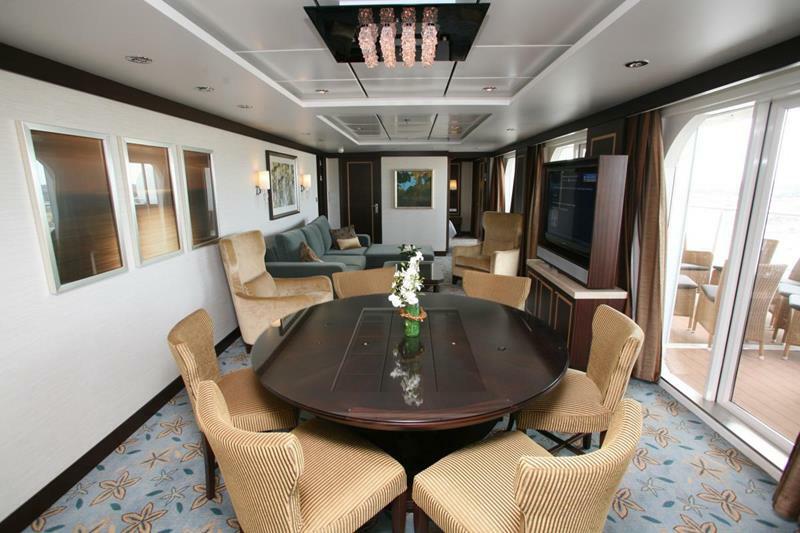 The split superstructure means that there’s double the fun up on deck. 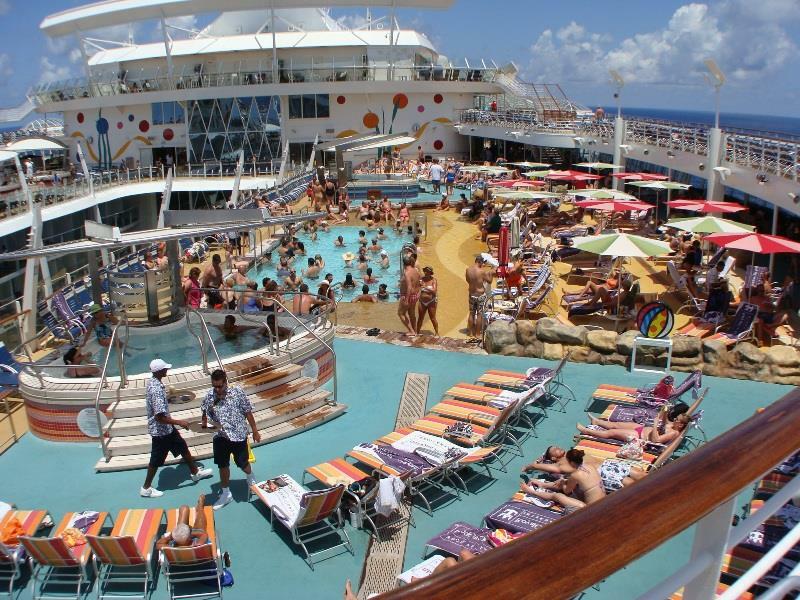 Pictured you can see the Lido Deck. If you’re looking for a party atmosphere around the pool, then the Beach Pool up top is where you should go. 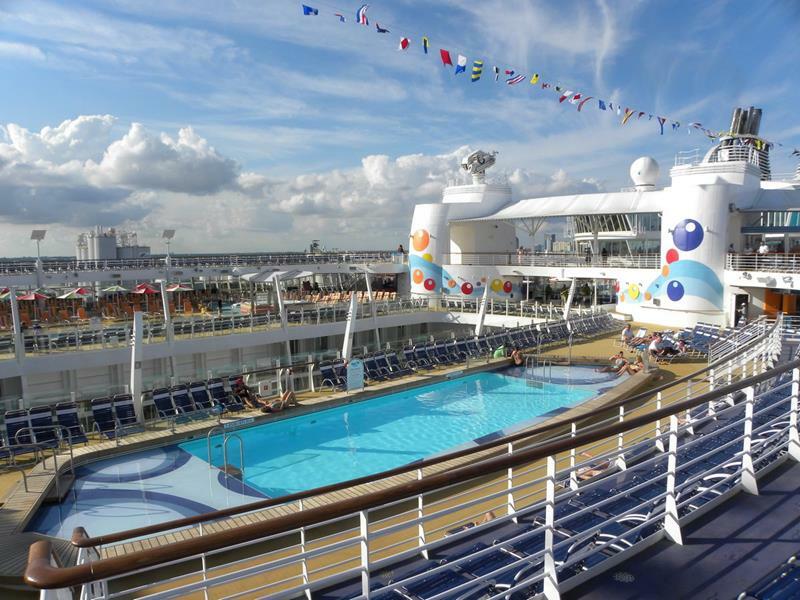 The Allure of the Sea also features a Sports Pool, where passengers are free to get in a round of water volleyball. 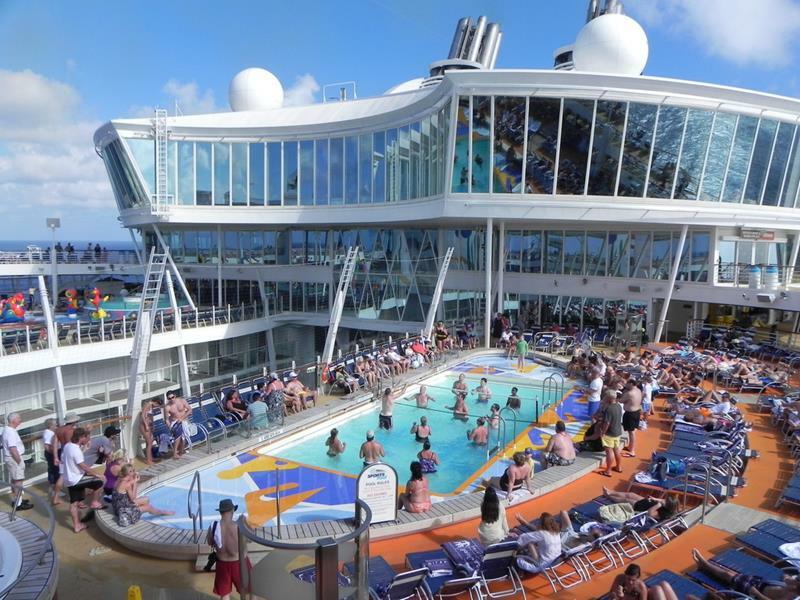 Finally, there’s also the Main Pool on deck, which features a more relaxed atmosphere than the Sports Pool and the Beach Pool. 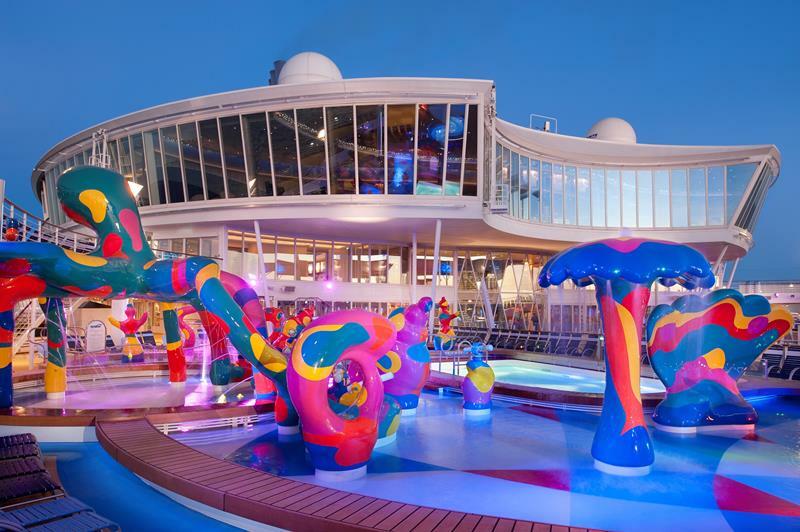 Oh, and there’s a pool that’s specifically for kids, with plenty of colorful shapes to capture their young imaginations. 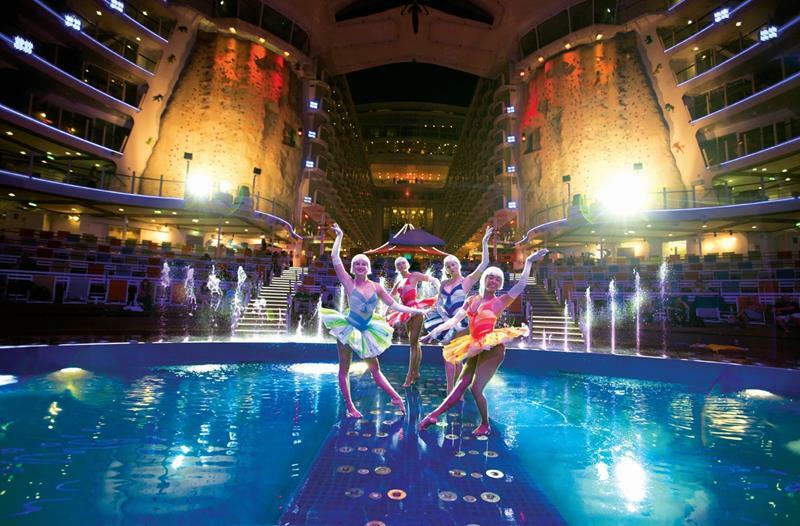 The pools aren’t the only water-related entertainment above decks. There are also two Flowriders, which simulate a surfing experience. 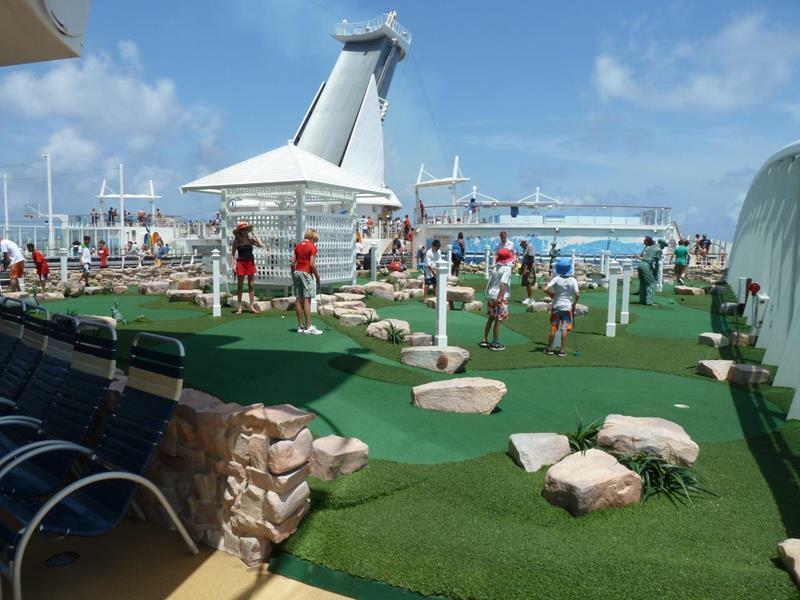 Near the Flowriders, you’ll also find a mini golf course that offers a perfect way to spend the day with your family. 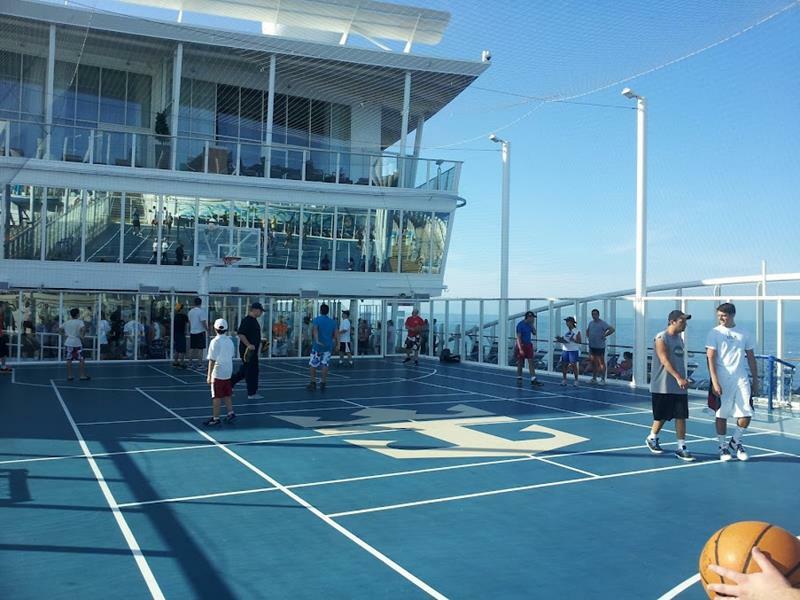 For something that requires more athleticism than mini golf, you can try the Sports Court, which features a full-sized basketball court. 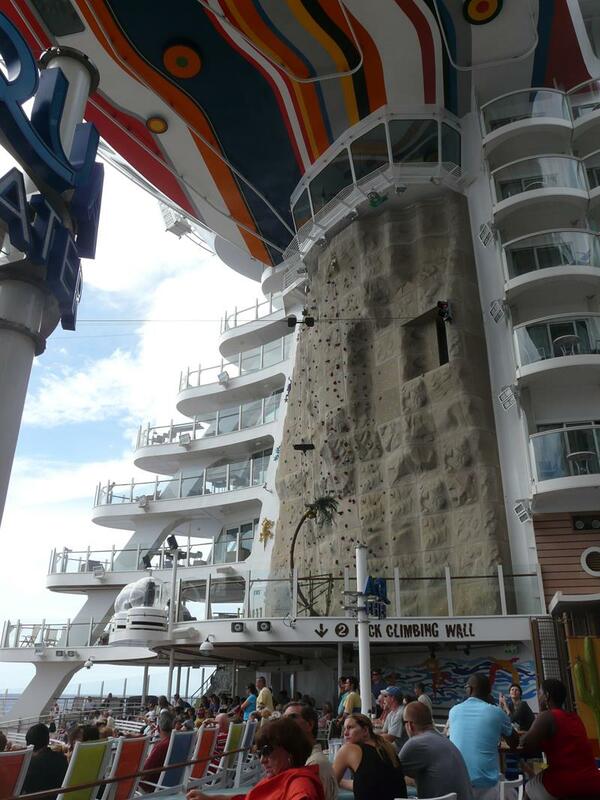 Passengers with a thirst for adventure can avail themselves of Allure of the Seas own rock-climbing wall. 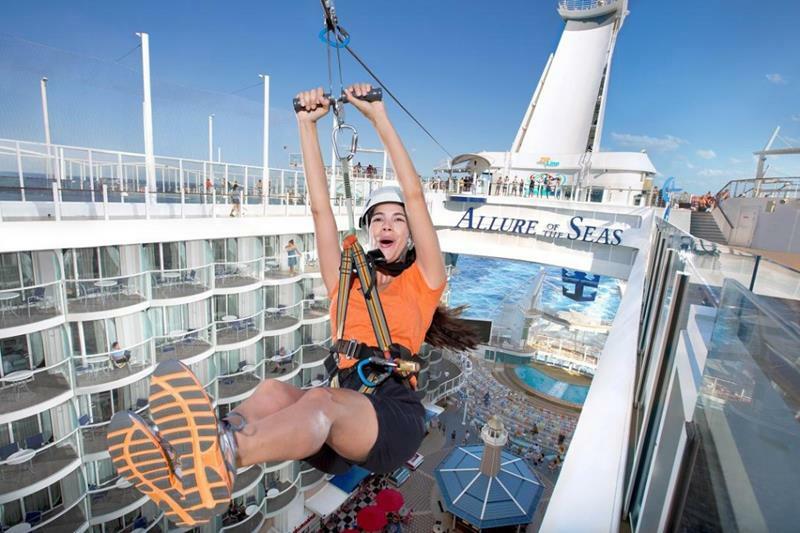 Or, if those adventurous passengers are in the mood for thrill seeking, they can zip line across Central Park, which sits between the two sides of Allure of the Seas’ superstructure. 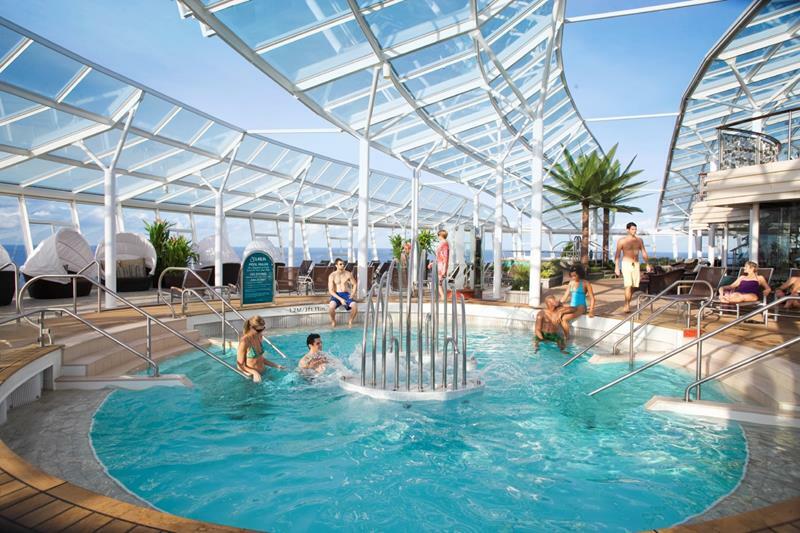 Allure of the Seas’ passengers can also get their poolside entertainment in the glass-covered Solarium. 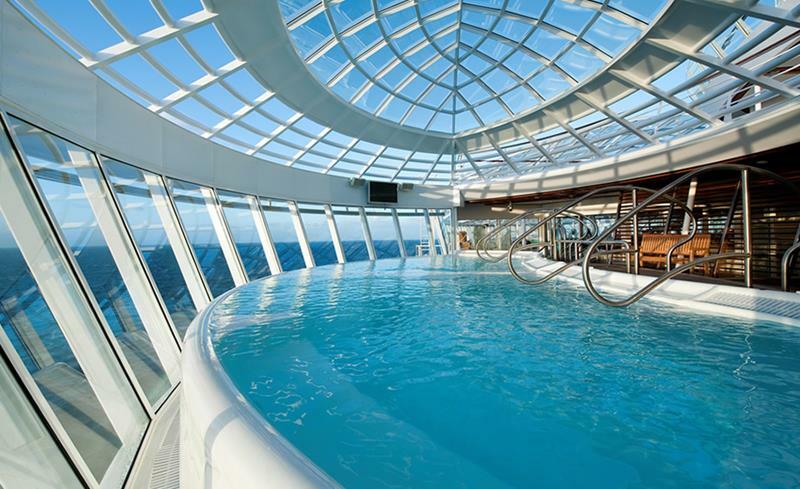 In addition to the Solarium’s pool, passengers can also soak themselves in one of the hot tubs, which have been cantilevered over the side of the ship. 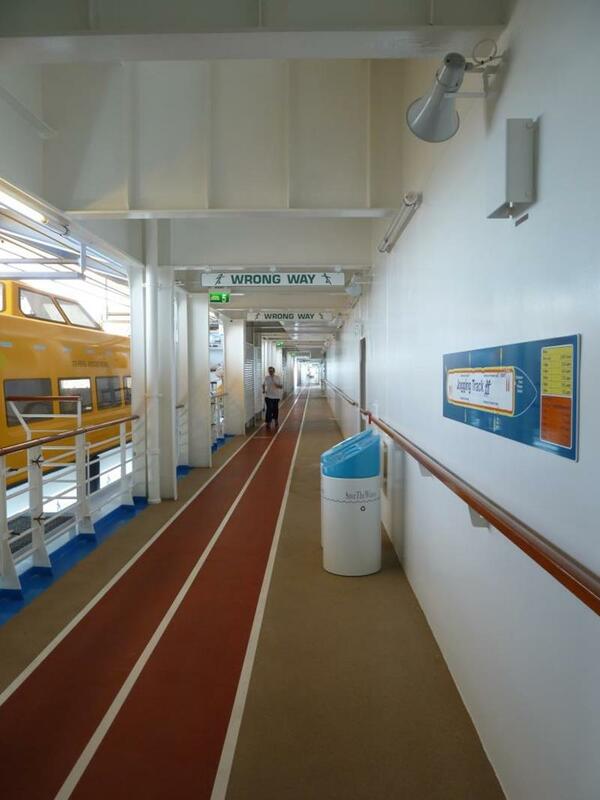 Another good way to stay active on Allure of the Seas is to use the jogging track. To jog one mile, simply make 2.5 laps! 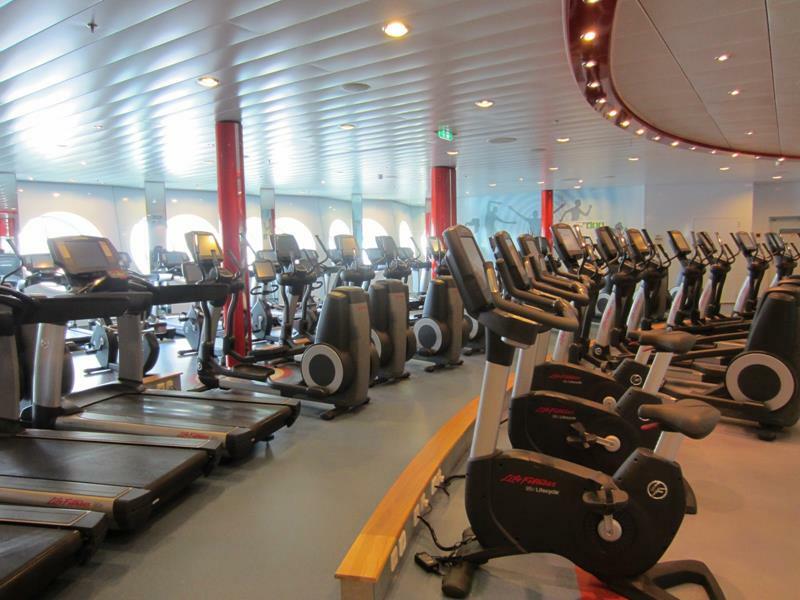 Attached to the Spa, Allure of the Seas’ fitness center has enough machines to keep even the most demanding gym rat satisfied. After all of that activity, maybe it’s time you pampered yourself? 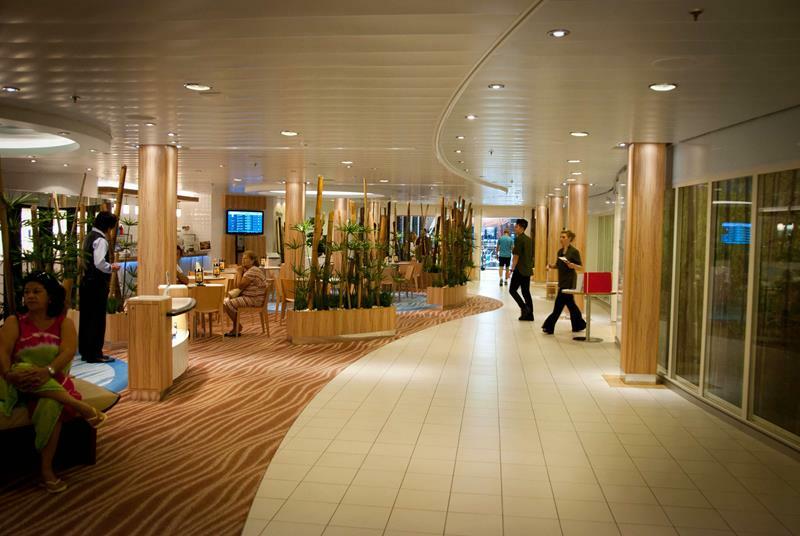 Allure of the Seas’ spa, which is called the Vitality at Sea Spa and Fitness Center, is truly world class. From messages to pedicures, from thermal suites to couples steam rooms, there’s nothing you won’t find in the Vitality at Sea Spa and Fitness Center. 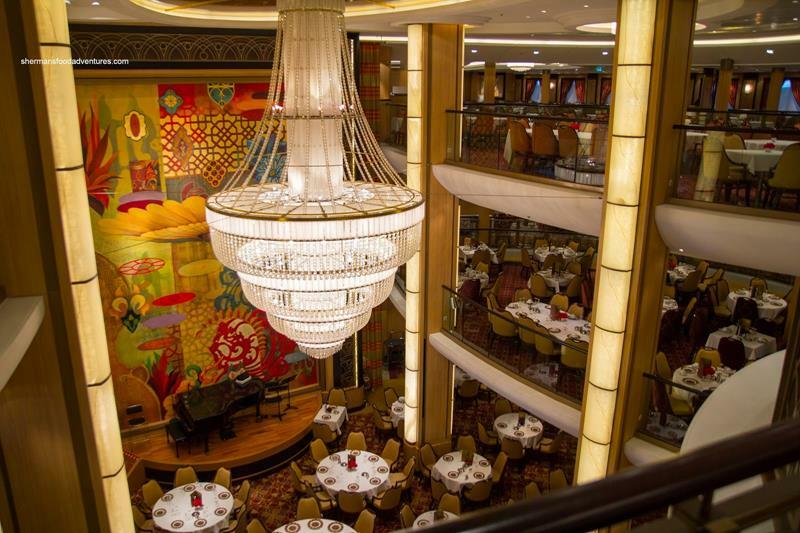 As you might expect on a ship of this size, the grand atrium is nothing short of opulent. 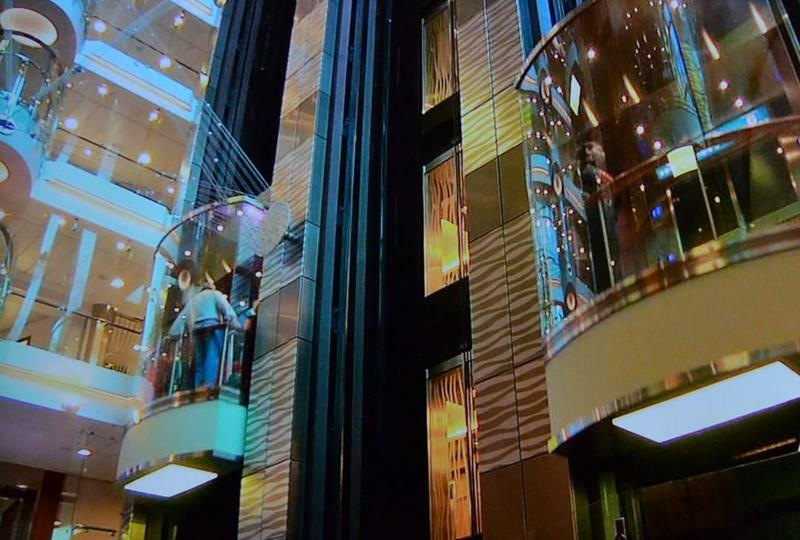 When you’re moving from deck to deck aboard Allure of the Seas, make sure you travel in style by using the glass elevators. 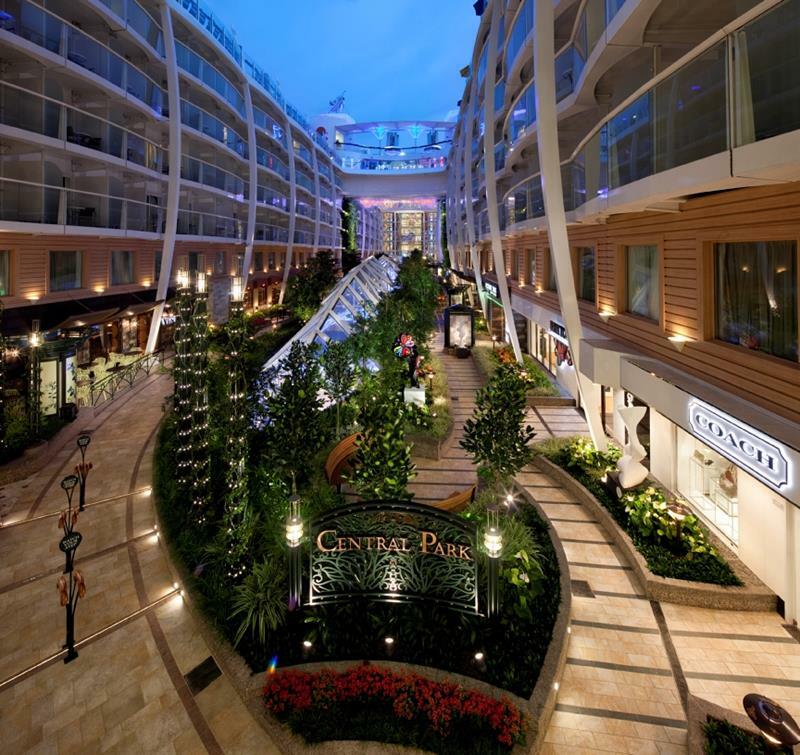 In between the two halves of the superstructure, you’ll also find the Central Park, which is lined with shops and restaurants. 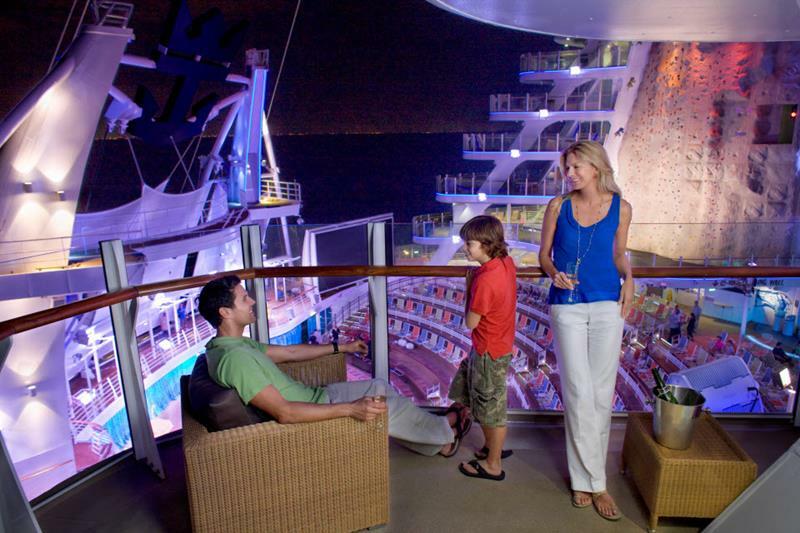 Three decks below, you’ll find Rising Tides Bar. The bar is so named because it actually moves up and down three decks, from the shops and restaurants below to the Central Park above. Before hitting a bar that moves up and down, it may be wise to fill your stomach, which you can do at the nearby reservations-only steakhouse Chops Grille. Children will especially enjoy the festive atmosphere of the Boardwalk, which features concessions and kid-friendly shops. 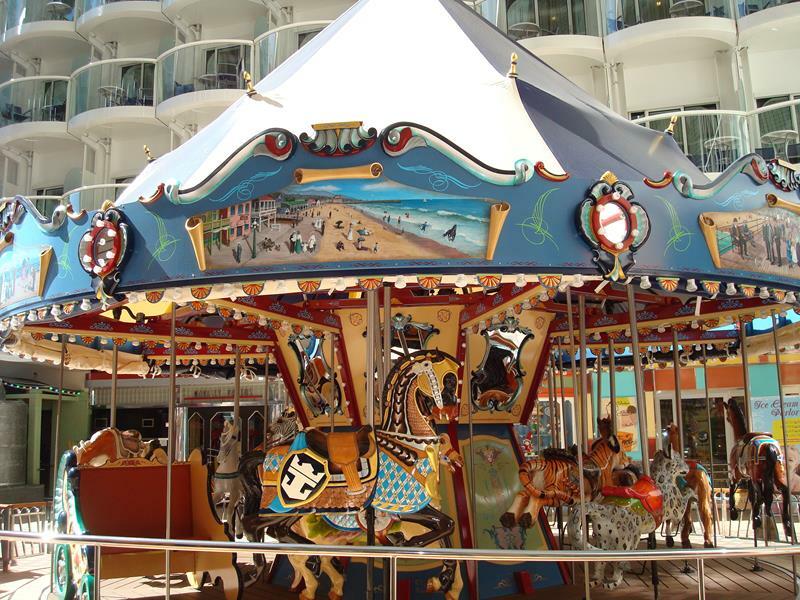 And you can bet that when you take your kids to the Boardwalk, they’ll want to take a ride on the carousel. Just beyond the carousel in the Boardwalk, you’ll find the Aquatheater, where passengers are invited to take in an entertaining aquatically themed show. 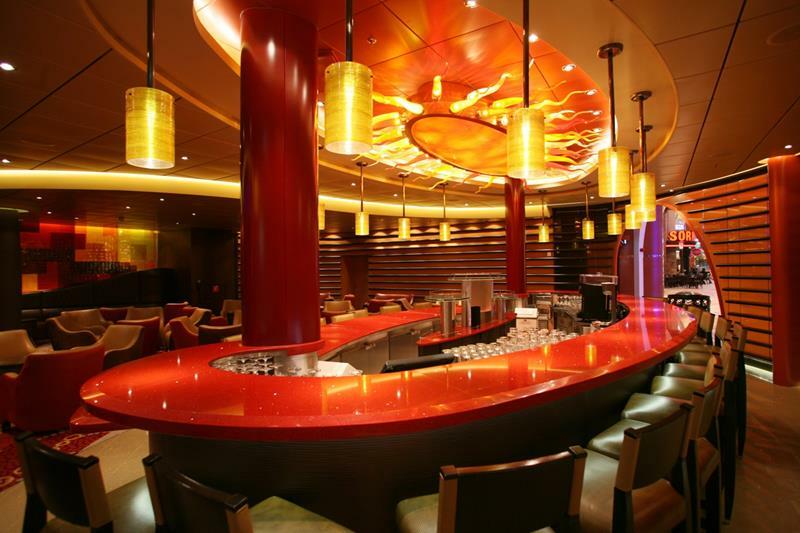 Below the Boardwalk is where you’ll find Allure of the Seas opulent main dining room called Adagio. Wherever you decide to eat dinner (there are many more options than the main dining room) you should absolutely take in one of the Broadway-quality productions staged in the Amber Theater. 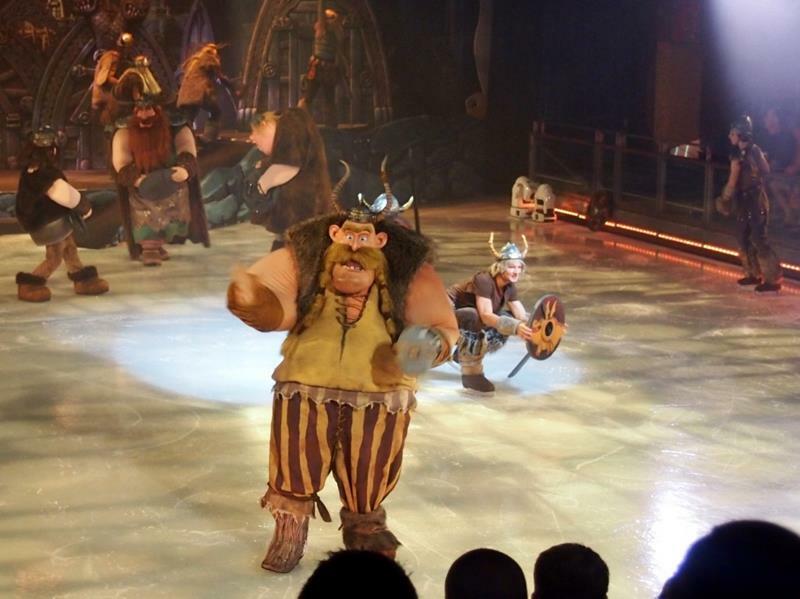 If you crave daring acrobatics for your evening’s entertainment, then you can always take in a family friendly show at Allure of the Seas’ ice rink called Studio B. 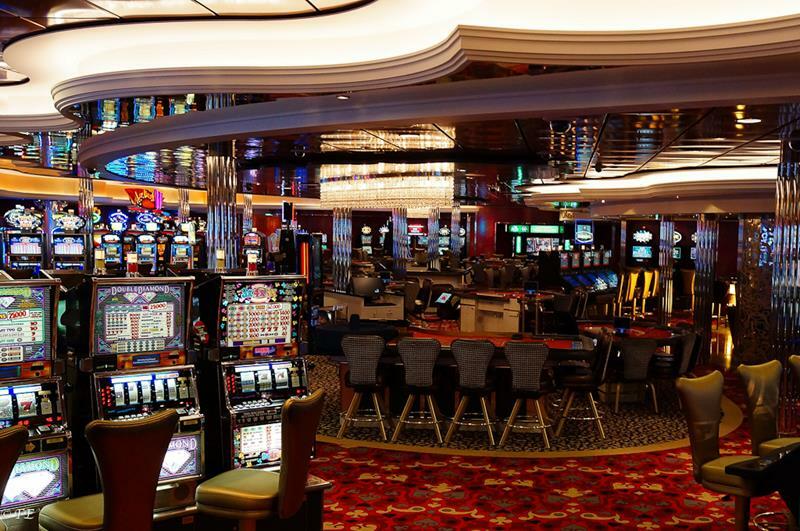 Below decks, you’ll find one of the largest casinos on the seas, one that features an abundance of slot machines and table games. 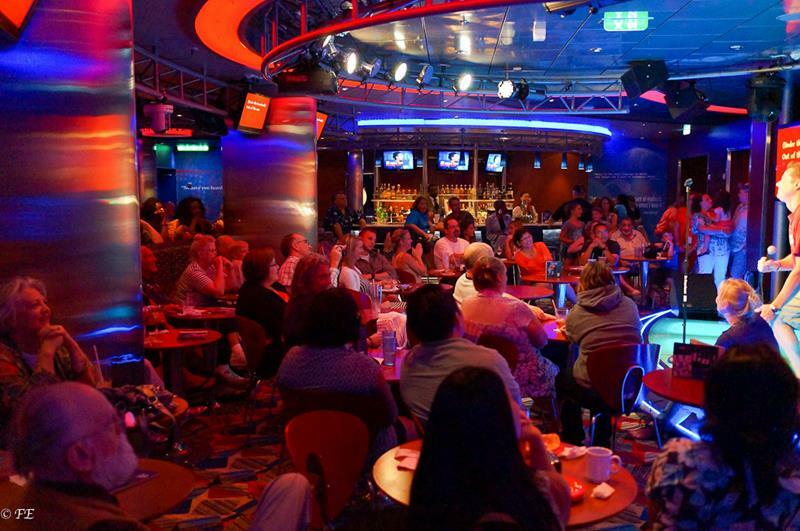 At the Allure of the Sea’s Karaoke Bar, which is called On Air Club, you can entertain other passengers with your mellifluous (or not) singing voice. Or if singing’s not your thing, you can always dance the night away to Latin music at Boleros, which is right near On Air Club. 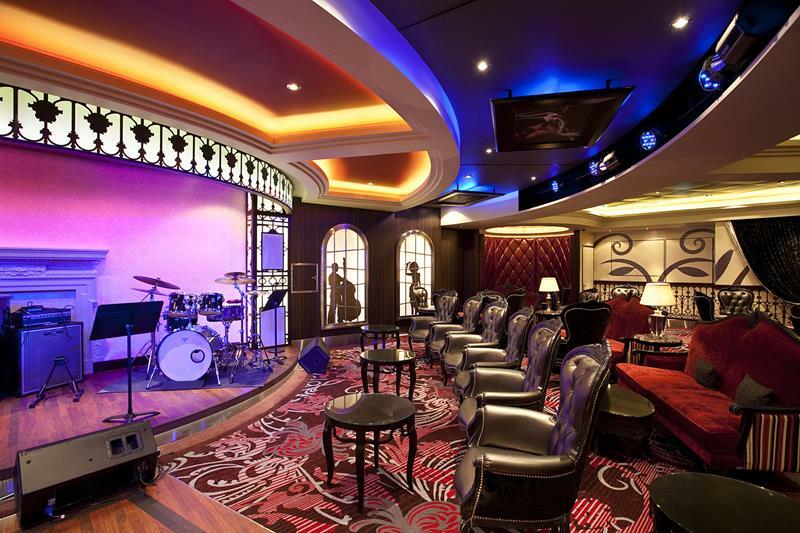 Alternatively, you can skip all of that excitement and enjoy some live music at Jazz on 4 while you’re sipping a generously sized martini. 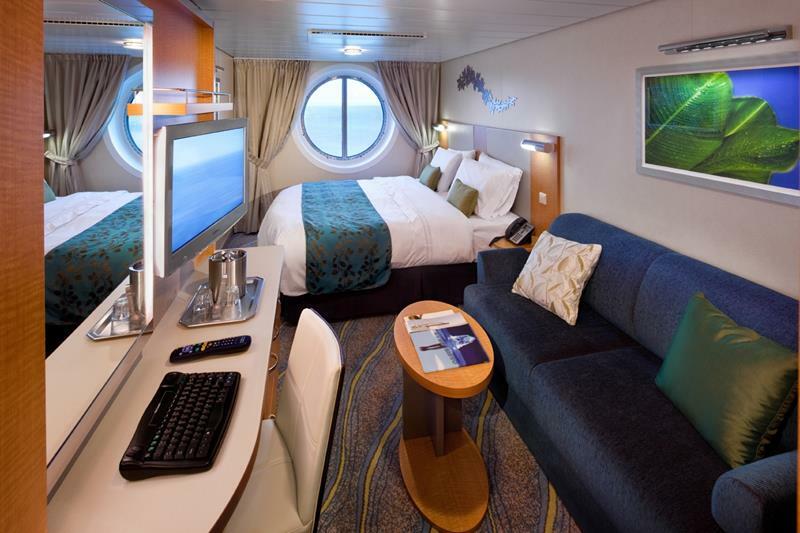 While not large, the staterooms aboard Allure of the Seas are generously sized and come appointed with many modern amenities. 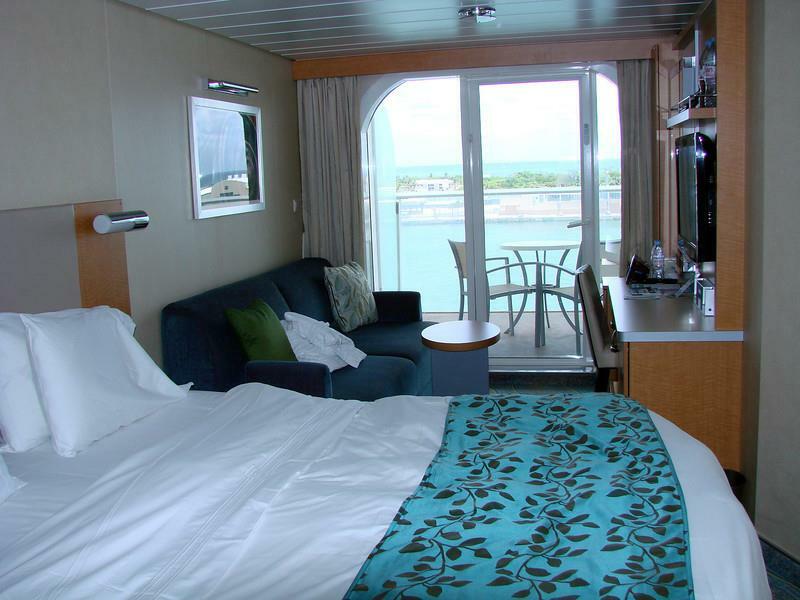 For a step up in square footage, you can opt for a balcony stateroom. There are those with ocean views and those that look onto the Central Park. Allure of the Sea’s Grand Suites are perfect for travelers who are looking for some space in their accommodations but plan on spending the majority of their time out and about. With two floors to spread out over, you and your traveling companion will never feel pressed for space in these sweet suites – especially when you step out onto the balcony. 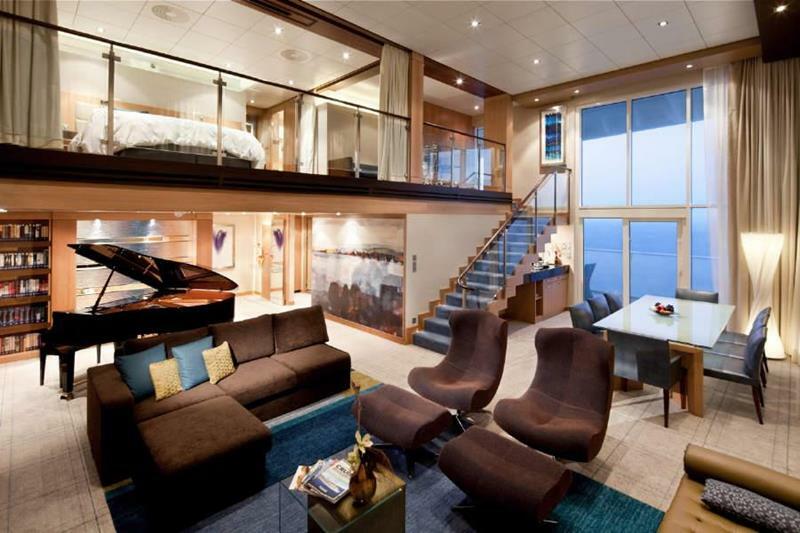 When you book one of these balcony suites, you’ll never be that far away from all of Allure of the Seas’ onboard excitement. 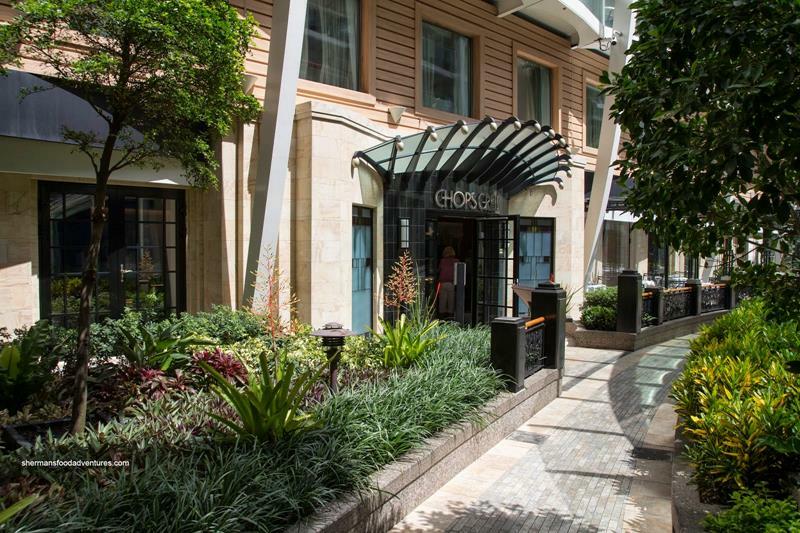 If your family is in need of personal space, then you’ll enjoy the accommodations of this suite, which features a generous balcony, a common living space, and separate bathrooms. 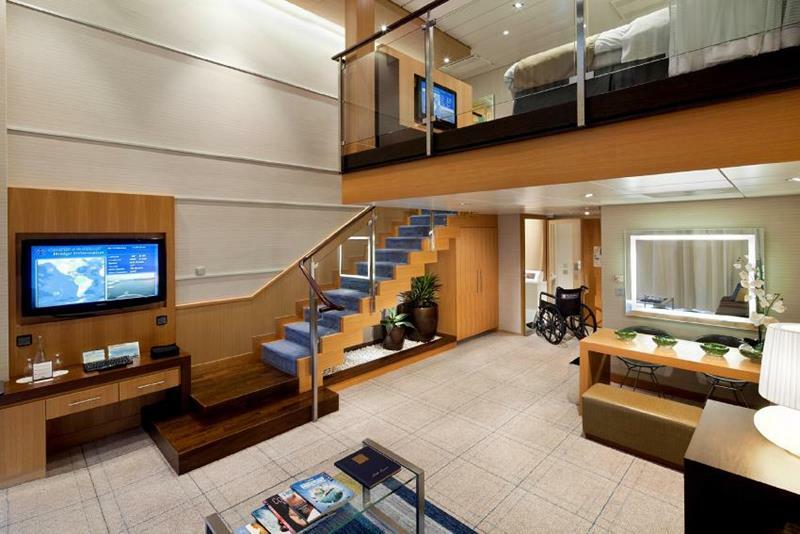 For the ultimate accommodations aboard Allure of the Seas, you’ll have to spring for a Royal Loft Suite, which offers an abundance of both space and modern flair.